Bishop Boyce was born in Downings, Co. Donegal on the 25th January 1940. Educated at Derryhassen school in Meevagh (Downings) parish and at Castlremartyr College, Co. Cork. He joined the noviciate of the Discalced Carmelites in Loughrea, Co. Galway, making his first profession in 1959. Having completed philosophical studies in Dublin, he studied theology at the Teresianum in Rome, where he was ordained on the 17th April 1966. He received a doctorate in theology (DD) in 1977 with a dissertation the spirituality of Cardinal John Henry Newman. During his twenty years on the teaching staff of the Pontifical Theological Faculty of the Carmelites in Rome, he taught spirituality and dogmatic theology, and for many years was engaged in the work of formation of students preparing for the priesthood or doing postgraduate studies. 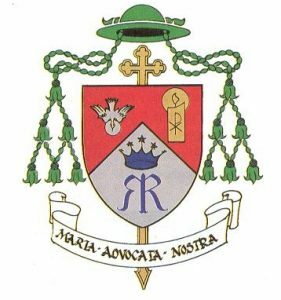 Bishop Boyce was ordained Bishop of Raphoe on 1st October 1995 in the Cathedral of Saints Eunan and Columba. His Motto “In the Service of Mother Church” is of Carmelite origin. 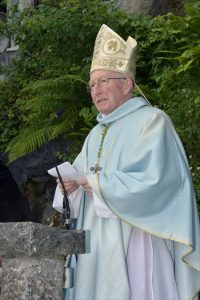 It sums up the mission he sees entrusted to him in the Episcopal ministry: one of service to the people of God in the diocese of Raphoe and to the whole family of the Church. Bishop Boyce retired as Bishop of Raphoe on 6th August 2017. Bishop Seamus Hegarty was born in Kilcar, Co Donegal, in 1940. He has one brother, Dermot, and one sister, Maire. He received his education in Kilcar N.S. , St. Eunan’s College, Letterkenny and St Patrick’s College, Maynooth (1959-’66). He graduated in Celtic Studies and is fluent in Irish, English and German. He was ordained to the priesthood by Archbishop McQuaid in St Patrick’s College, Maynooth in 1966. He taught in Colaiste na Croise Noafa, Falcarragh, and later became President (1971-1981). He carried through the establishment of Pobalscoil Chloich Cheannfhaola in 1973, becoming its first Principal, and with his staff he made it a successful school. 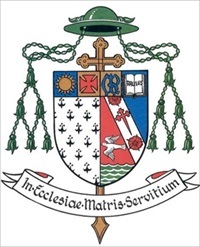 After a short period as curate in Stranorlar he was made bishop in 1982, being ordained by Cardinal Ó Fiaich in March 1982 in Letterkenny Cathedral. He began a mission of Raphoe priests to Lima in Peru in 1986. He carried to completion the Church of the Irish Martyrs, Letterkenny in 1994, a project initiated by Bishop MacFeely. He set up a House of Prayer in Drumkeen and encouraged the setting up of Blessed Sacrament adoration chapels. 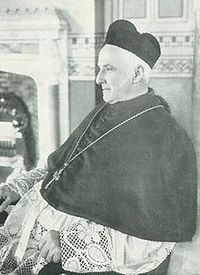 Bishop Hegarty was a member of the Bishop’s Emigration Commission, regularly visiting Irish and Donegal emigrant groups in Britain and the United States and was largely instrumental in setting up an emigrant mission in Munich. As a member of this commission and as a northern bishop, he could not but be concerned about the ‘Troubles’ and his voice was heard clearly and courageously in condemnation of abuses of the law and atrocities. 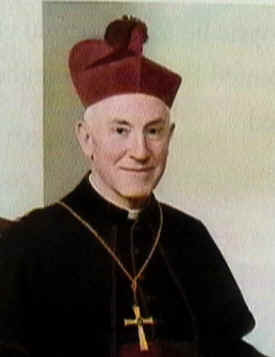 In 1994 Bishop Hegarty was appointed Bishop of Derry to succeed Bishop Edward Daly, who had retired due to ill health. 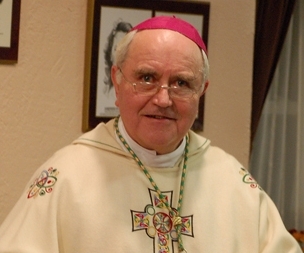 Bishop Hegarty retired as Bishop of Derry in 2011 due to ill health. Bishop MacFeely was born in 1909 in Daisyhill, Ballybofey in the Diocese of Derry. He was educated at St. Columb’s College, Derry, and St. Patrick’s College Maynooth 1926-29 and at the Irish College, Rome 1929-33. He did postgraduate work in Fribourg, Switzerland in 1933-34. He was appointed to teach in St. Columb’s College and became President in 1951. He was Parish Priest of Strabane and VG of the Diocese of Derry, when in 1965 he was appointed bishop of Raphoe. He was ordained bishop by Cardinal William Conway in Letterkenny on the 27th June 1965. A genial and hard worker, he put the liturgical and other reforms of Vatican II into effect. He put diocesan finances on a sound basis, replacing funeral offerings with the envelope system, and he took in hand the creation of a diocesan archive. He was an active member of the Irish Bishop’s Commission on Emigrants, whose foundations had been laid by Archbishop MacQuaid of Dublin, Bishop MacFeely and others. He saw to the building of a number of fine churches, the Derry firm of McCormick, Tracey & Mullarkey being chief architects. Their finest achievement in the diocese was Creeslough Church. Bishop McFeely resinged due to ill-health in 1982 and died on 7th October 1986. He is interred beside the Cathedral. 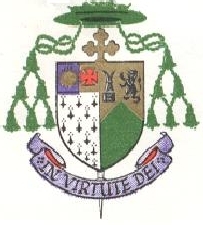 Bishop William Mac Neely had the distinction of being Raphoe’s first completely Roman educated bishop. He was shrewd and down to earth, having his feet firmly planted in his native soil. William MacNeely was born in 1888, son of a butcher in Donegal Town, He was educated locally, at the High School in Letterkenny, and in Rome from 1906-12. He was ordained to the priesthood and received his STD in 1912. His first appointment was to the teaching staff of St. Eunan’s College 1912-16. He volunteered as a chaplain in the Great War from 1916-18, saw action on the western front, and was injured in a gas attack. He was curate in Letterkenny from 1918-22 and then went to Finner camp as chaplain 1922-23. He was ordained bishop of Raphoe by Archbishop O’Donnell on 27th July 1923. He was very able and modest and administered the diocese quietly but competently. Sensitive to history, he brought the Franciscans back to the diocese – the Capuchins to Ards 1930 and the Friars Minor to Rossnowlagh 1946. His good taste appears in the clerestory windows by Harry Clarke which he added to the Cathedral. Bishop MacNeely was Episcopal Secretary to the Irish Hierarchy for many years. He was highly regarded by his brother bishops and was in demand as speaker on public occasions. In a diocese where farming was the main industry, he maintained a strong interest in farming, being himself a successful Shorthorn breeder. Shortly before his death, he was appointed Assistant to the Papal Throne. After a long episcopate, Bishop William MacNeely died on the 11th December 1963 and is interred beside the Cathedral. 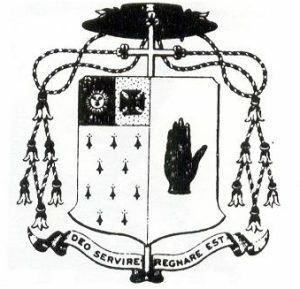 The best years of Bishop Patrick O’Donnell were spent in The Diocese of Raphoe, although like his predecessor Cardinal Logue, he became Primate Archbishop of Armagh and Cardinal. Patrick O’Donnell was the son of a small farmer of Kilraine, near Glenties, Co. Donegal. He was born on the 28th November 1855. He was educated in the High School, Letterkneey, the Catholic University, Dublin (1873-’75) and St Patrick’s College, Maynooth. He was ordained to the priesthood on the 29th June, 1880. In that same year he was appointed to the staff of St Patrick’s College, Maynooth, holding the chairs of Dogmatic and Moral Theology. In 1884 he became dean of the revived post-graduate Dunboyne Institute and in 1885 was awarded his STD. From his desk in Maynooth he poured out a continuous stream of articles on moral theology and canon law. He was appointed bishop, the youngest in the world, in 1888, and consecrated by Cardinal Logue on 3rd April in Letterkenny. With superior qualities of mind and body, he was a benign figure who was yet gifted with sharp political acumen. He had the most distinguished episcopate, locally and nationally. He undertook and completed prodigious building projects: a superbly-sited neo-gothic (with Romanesque details) cathedral, overlooked by a house for bishop and clergy (1891-1901); St Eunan’s Diocesan College (1906); the Presentation Monastery and Loreto schools and an extension to Loreto Convent, all in Letterkenny. The Marine Industrial School was erected in Killybegs, and all over the diocese churches, schools and parochial houses were built. In 1901 Pope Leo XIII restored the Raphoe Cathedral Chapter. He was the longest serving member of the Congested Districts Board, from beginning to end (1892-1923), which through the work of the bishop, laity and clergy brought many advantages to Donegal farming and fishing and in the establishment of a light railway system. He was an ardent promoter of the Irish language and culture and was warmly supported by such priests as Dr Maguire and John McAteer and by uch laymen as JP Craig and Séan Mac a’Bhaird. In 1906 they launched Feis Thír Chonaill on what was to be an active life, and in 1907 founded the Four Masters School, an Irish Summer school for teachers in St Eunan’s College. Bishop O’Donnell strongly promoted the Temperance movement, eventfully making the selling of poteen a reserved sin, forcing the illicit distillers to move across the Swilly to Inch and to Derry Diocese, and forcing the bishop of Derry to ban it. Bishop O’Donnell was in full sympathy with the plight of Donegal’s many smallholders and opposed Balfour’s Coercion Act (1887) and equally the Vatican condemnation in 1888 of the Plan of Campaign. For many years Dr O’Donnell was in effect chaplain to the Irish Parliamentary Party and presided over the Irish race Convention on 1896. But he condemned the 1916 executions and was amongst the first to see that Sinn Fein was the party of the future. He was a member of the 1917 Irish Convention. 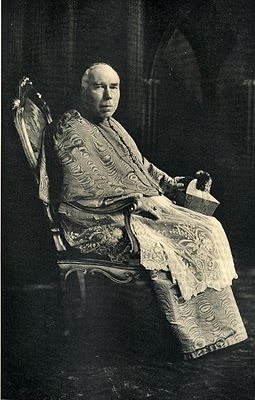 Cardinal Logue secured his appointment as coadjutor-archbishop of Armagh in December 1921. Because of difficult times he remained as administrator of Raphoe until the appointment of his successor in 1923. 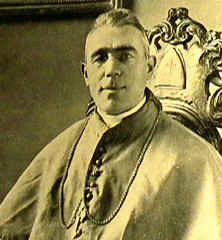 He became Archbishop of Armagh on the 19 December, 1924, and was created Cardinal on the 14 December, 1925. He died on the 22 October 1927, and was buried in St Patrick’s Cemetery, Armagh. His episcopal motto was ‘In Hoc Signo Vinces’ – By this Sign (Cross) you shall conquer. Bishop Michael Logue was born in his mother’s paternal home, Duringings, in Kilmacrennan on 1 October, 1840. His father, also Michael, was a a blacksmith from Carrigart. At Kilmacrennan too he had his first schooling, from Mr Craig, a Protestant. From there he went to Campbell’s classical school at Buncranna, and then to Maynooth (1857-66). Brightest of his class, he was nicknamed the ‘Northern Star’. In 1865 he was already lecturing in Maynooth, while he followed postgraduate studies. Although not yet ordained a priest he was appointed in 1866 by the Irish Hierarchy to th chairs of Theology and Belles Lettres in the Irish College, Paris. He was ordained a priest in Paris in December 1866 and remained on the staff of the Irish College until 1874. He came to Glenswilly as Administrator in 1874. In 1876 he was appointed to the staff of Maynooth Colelge until 1879 where he held the chairs of Dogmatic Theology and Irish and the post of Dean. He was appointed Bishop of Raphoe on the 13 May 1879 and his appointment had practically the unanimous support of the clergy. He was consecrated Bishop by Archbishop McGettign in the Pro-Cathedral, Letterkenny, on the 20 July 1879. On 2nd April 1878 Lord Leitrim was assissinated, the elder Logue driving behind him. From all that we know of his character, it seems inconceivable that he would have accepted the bishopric had his father been involved in any way in the murder of Lord Leitrim and Buchanan. He was by nature cautious and took a neutral stance towards the Land League, now in its first stage (1879-82). In the aweful famine year of 1879, he worked strenuously and successfully to relieve distress, seeking and obtaining food and money from the Catholics of the world. He took advantage of the Intermediate Act of 1878 to enlarge the High School, Letterkenny. Following on the lines laid down by his predecessor, he encouraged agriculture and thrift and set up a Temperance Society in every parish. He was translated to Armagh as coadjutor Archbishop with the right to succession on the 19th April 1887, and the best years of his episcopal career were spent as primate. He succeeded to the Primacy on the 3 December 1887 and was named Cardinal on the 19 January 1893. The completion of St Patrick’s Cathedral, Armagh, and its dedication on 24 July 1904, was perhaps the crowning event of his primacy. He was an advocate of Home Rule and was opposed to the partition of Ireland; however he did favour the Treaty of 1921. He died on the 19 November 1924 in Ara Coeli, Armagh, and was buried in St Patrick’s Cemetery, Armagh. His episcopal motto was ‘In Patientia Salus’ – (Patience is a Virtue). 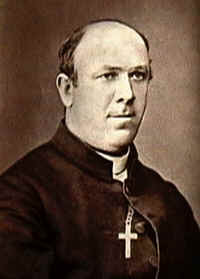 Bishop James McDevitt was born c. 1831. He was the son of Daniel McDevitt, a Glenties merchant and hotelier and his wife, Mary O’Donnell. He was educated by his uncle, Fr. James. An sagart rua ‘Ac Daeid, PP Lr Templecrone; at Drumbeigh Classical School, Inver under Patrick McGoldrick; at Letterkenny High School, under Dr Crerand, and at Maynooth (1850-59). After two years’ postgraduate studies, he was ordained in 1859. He was now Professor of Philosophy at All Hallows (a brother Fr John was also a staff member there) until 1871, when he was appointed bishop of Raphoe. Archbishop McGettigan consecrated him in the Pro-Cathedral in Letterkenny. Despite poor health, he was quite active. He had an orderly mind, and this was reflected in his administration. He founded the Raphoe Diocesan Society, whose resources still provide for the sick and retired priests. He consecrated the diocese to the Sacred Heart and established the St Vincent de Paul Society in Letterkenny. In 1873 he exchanged Gweedore parish for Raphoe as a second mensal parish (Letterkenny being the other). The Bishop is in law parish priest of the mensal parish and receives the appropriate revenues. He devoted part of his revenues from Raphoe to the building of the new church, a fine example of the Belfast architect Hevey’s skill.